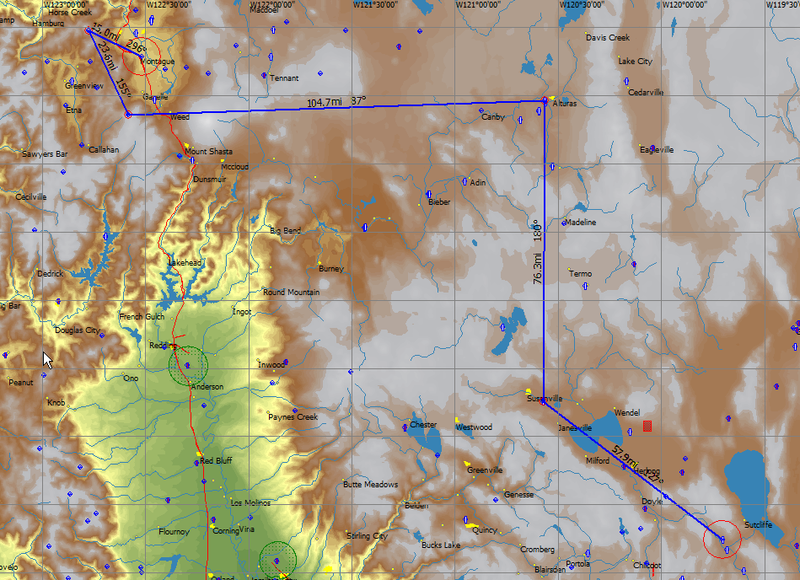 This first part was written on Tuesday June 26 2012, with the weather forecast supposedly suggesting that a flight from Montague to Reno Nevada, with the intention of capturing The PASCO Egg, was a real possibility. The US National Contest is being conducted at Montague and Siskiyou in June 2012. Why not visit the competition, take a flight from Montague, and instead of heading back to Siskiyou with the fleet of ships that will be flying, just head down to Air Sailing and capture the Egg! Here is the proposed route. Plan is to launch on Wednesday, Thursday or Friday, June 27, 28, or 29. The Bird People at Air Sailing will not have their defenses up. They’ll never see me coming. This second part was written a few weeks later. The soaring conditions did not develop. We did have some good “local” flights, but none in the direction of Reno Nevada. 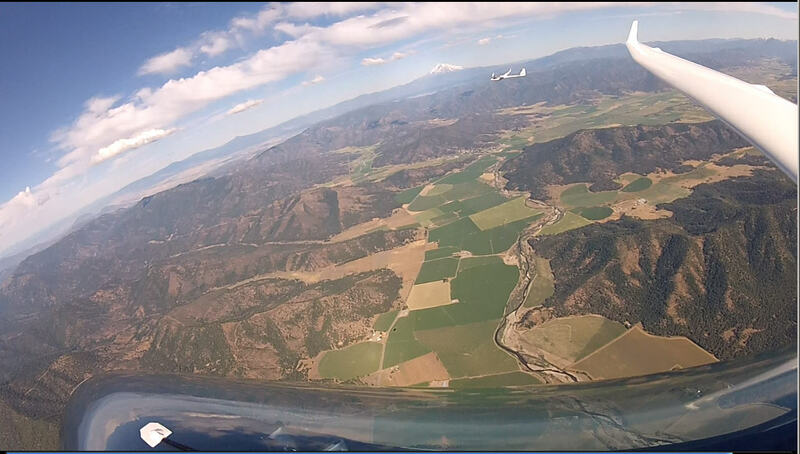 Peter Kelly over head Shasta Valley at 10,000 feet June 29, 2012. 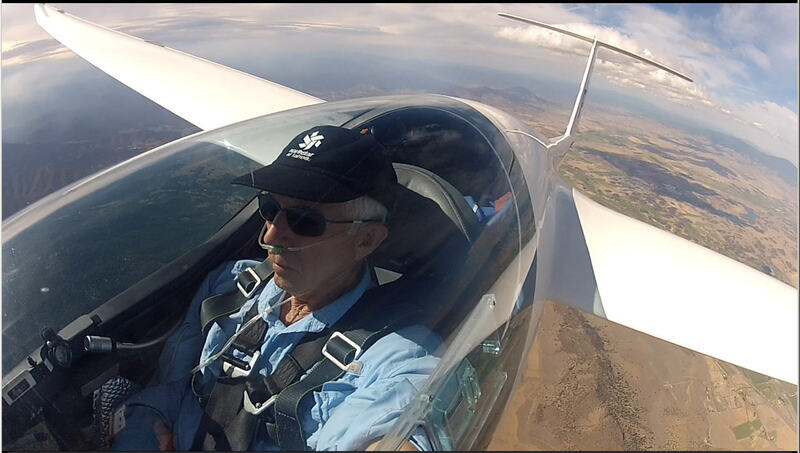 Here is a photo of Bob Ireland in JH – as we glide back to Montague from the Marble Mountains….